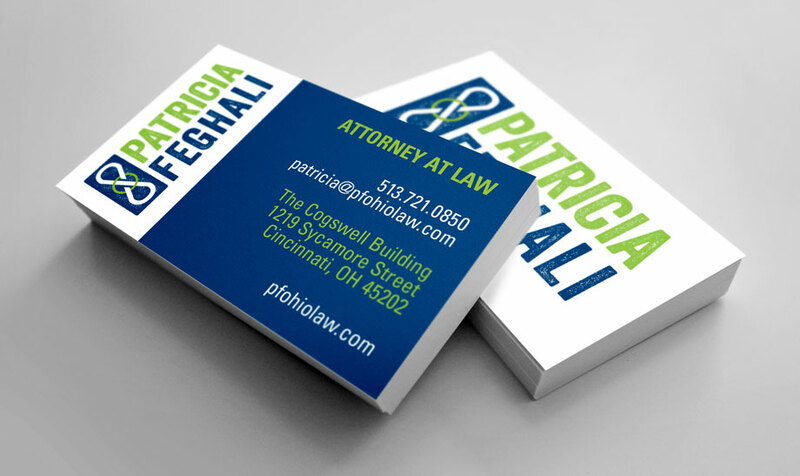 We were excited when fellow Springboard alum Pat Feghali came to us for a logo for her new legal practice. We created a logo that we all really like and thought was great–but it just didn’t feel like Pat. This can happen pretty easily with a brand-new business; people can be unsure of exactly what tone they want to strike. So we went back to the drawing board, and talked about what we wanted to convey. In addition to being a property owner, entrepreneur and a lawyer, Pat is also a musician. So somehow we wanted to express all that. We asked her if she had a favorite piece of jewelry, or stickers on her guitar case, or artwork, or anything that she really like that she thought defined her, like a tattoo. Ah, yes…a tattoo. Of course there’s a tattoo. So here is what we did for her.